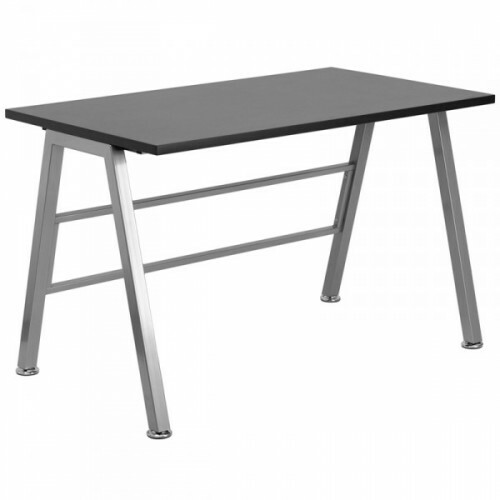 The High Rise Black Laminate Top Desk is hand selected as one of our essential desks for easy set up and for your typical office. With easy assembly and priced to sell, it is a simple purchase to get you started in your office. 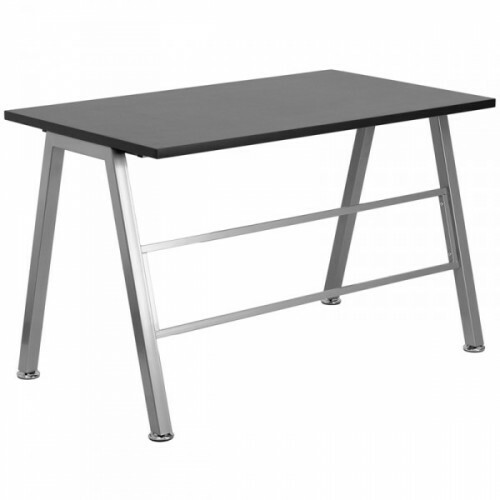 With a contemporary design and black laminate top finish, it looks sharp when combined with the silver powder coated legs.